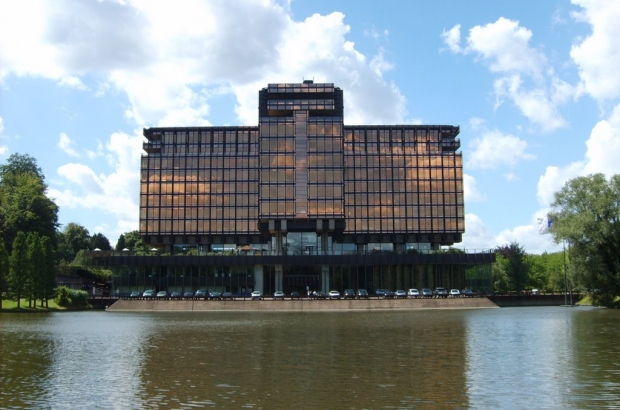 The American Embassy in Brussels will not be moving to Watermael-Boitsfort, after US authorities pulled out of buying the site of the former Axa headquarters. The embassy had planned to demolish the disused office block on Boulevard du Souverain and build a brand-new complex. But the municipality of Watermael-Boitsfort successfully applied to the Brussels region for the building and its surrounding gardens to be added to its list of protected sites. Le Soir reports that keeping the 1970s building untouched was out of the question for the US government, because of its poor energy performance and underground car park which presents security issues. The 65,000m² building, known as the Royale Belge, was designed by architects Pierre Dufau and René Stapels and was previously the headquarters of Axa bank, which has since moved to the Marnix building between Trône and Porte de Namur - a short distance from the US embassy's current site on Boulevard du Régent. Well, Watermael-Boitsfort 1, US 0. The mouse that roared.